After the match against Napoli coach Alberto Malesani was fired. 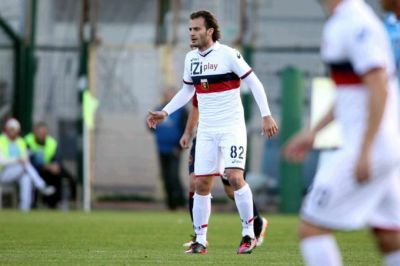 We all thought that the players were shocked about the decision of Mr. Preziosi and were very motivated in Cagliari with new trainer Pasquale Marino and topstriker Alberto Gilardino. Except Sebastien Frey, Marco Rossi and Alberto Gilardino all other players looked uninspired and played again very bad in Cagliari. Of course the first goal of Cagliari was made out of an unreal penalty of Larrivey, but it was sure that Cagliari deserved at least 1 goal in the first half. In the second half Genoa started good but after 11 minutes Victor Ibarbo scored the second goal out of a corner of our Kevin Constant! Only a few minutes later Moretti got an undeserved red card because of a foul in midfield with Granqvist still behind him, again a big error of referee Celi. With 10 against 11 we all waited for the third goal which came of course and was made by our own defender Andreas Granqvist. Thanks to Sebastien Frey the result is not as bad as in Napels, the way we played was maybe even worse.